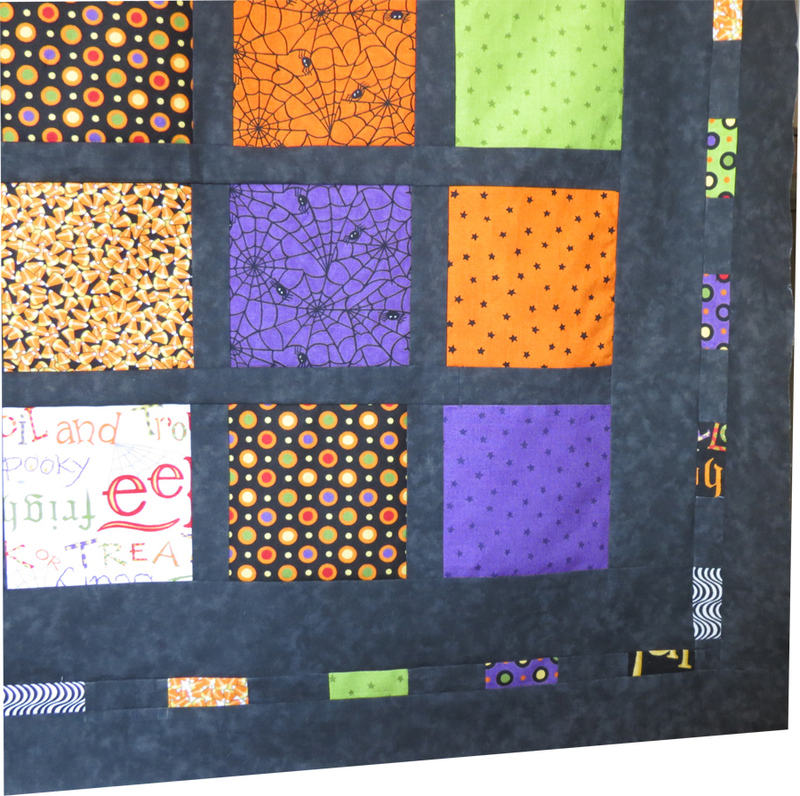 This morning, I finished adding the final two borders to the Halloween quilt I am working on. I decided to go with the smaller center color border. I just love how it turned out. 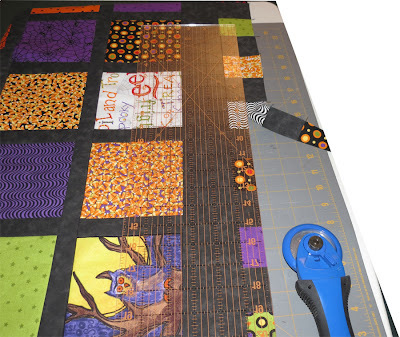 The excess that was cut off will probably end up on the quilt backing somehow. The quilt top is on of the larger quilts I've done. It's wider than my banister so the sides are bending in the photo, Surprisingly, you really can't tell. Here's the center border being cut off. I started with 2.5" alternating squares with black. I cut off 1.25"
Here's what the finished border ended up looking like. It was a gamble but luckily the corners turned out. Each one has some black in it to separate the meeting color blocks. And here is the final quilt top hanging. The colors on the digital image do not do it justice. I love the colors! 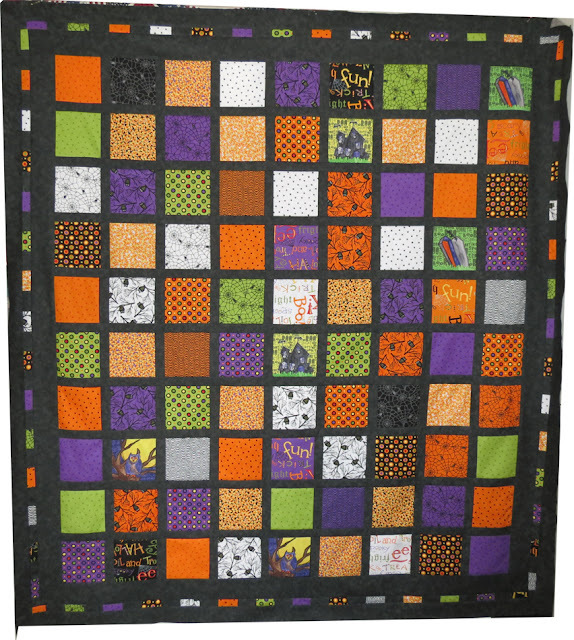 I hope to have the quilt on the machine and quilted by October 1rst. That's a long shot since on work days, I just come home and pretty much crash. But, I'll keep pushing along.